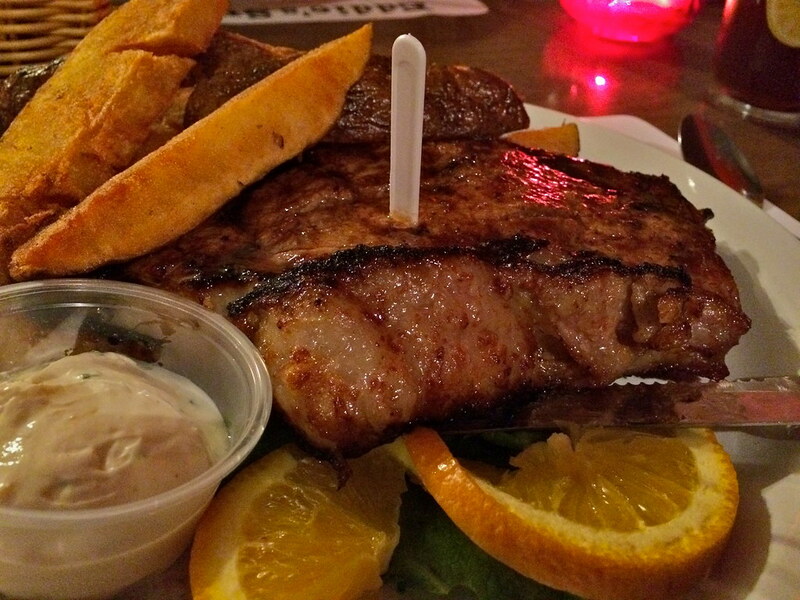 If you’re a vegetarian you might want to look the other way, because Eddie’s Supper Club has been famous for their Campfire Steaks since 1944. 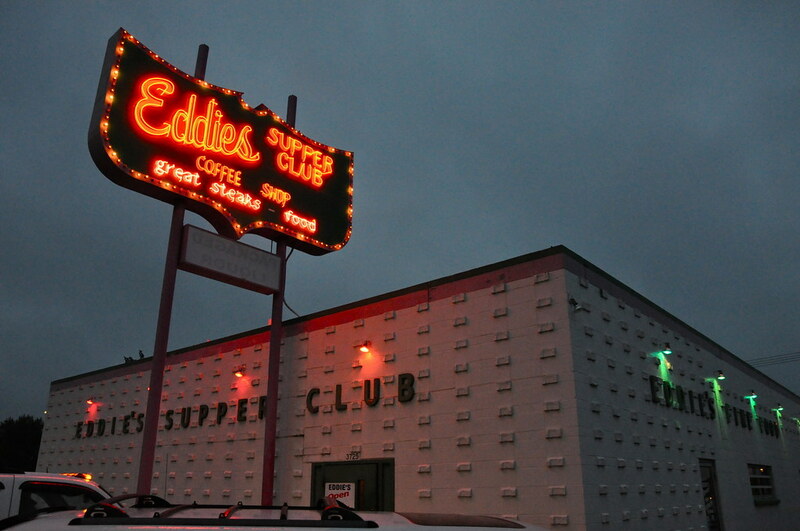 But if you’re of the steak-eating persuasion, you might want to get to Eddie’s Supper Club in Great Falls, Montana soon, as the owner is retiring and the location us up for sale so who knows how long they will be this perfectly preserved combo of vintage Supper Club*, Steak House, Coffee Shop, Cocktail Lounge and Liquor Store for much longer? “Impress Your Guests – An Adventure in Fine Dining” Love! *Supper Club Definition: Traditionally supper clubs were considered a “destination” where patrons would spend the whole evening, from cocktail hour to nightclub-style entertainment after dinner. Featuring a casual and relaxed atmosphere they are now usually just restaurants rather than the all-night entertainment destinations of the past. Thanks Wikipedia! Located on the outskirts of a residential section of Great Falls, towards Malmstrom Air Force Base, this mostly windowless cinderblock bunker of a building was built in 1966, after the original Eddie’s burned down. 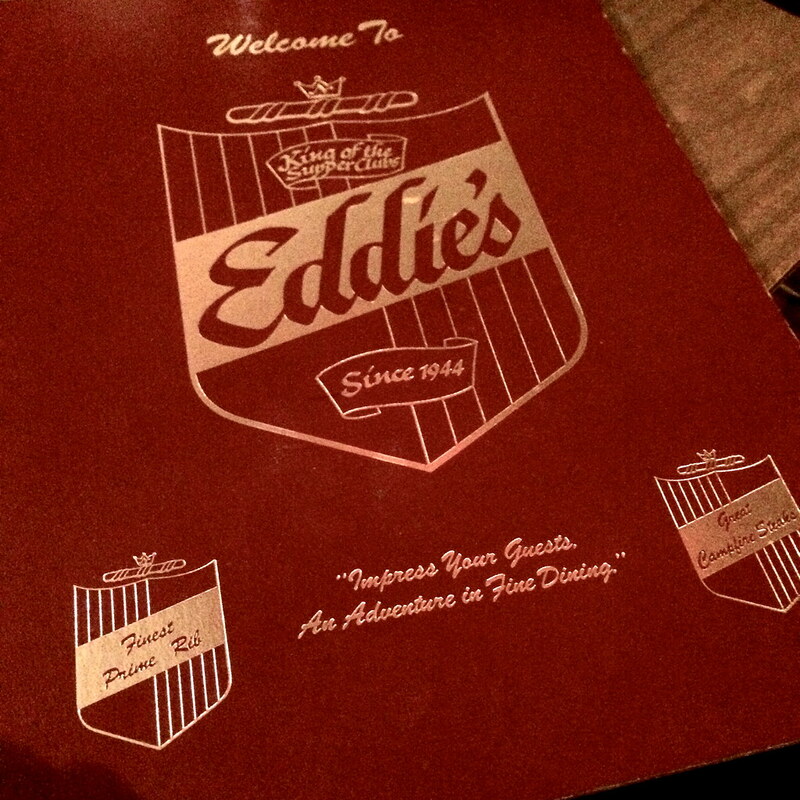 Luckily Eddie’s is exterior cheered greatly by its oversized neon sign glowing in the dusk. But its interior is not to be missed! We visited on a cold rainy day, so the wood paneled dimly-lit dining room was a perfectly cozy spot. There’s also a coffee shop section and a lounge section, you can select a spot to suit your mood. 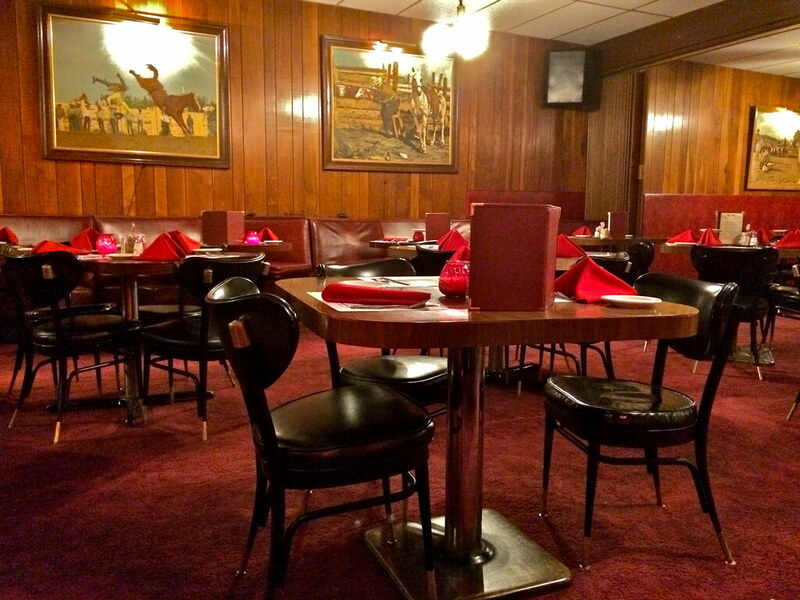 The decor is deliciously unchanged for decades, so you can feel like you’ve stepped back in time, wherever you sit. 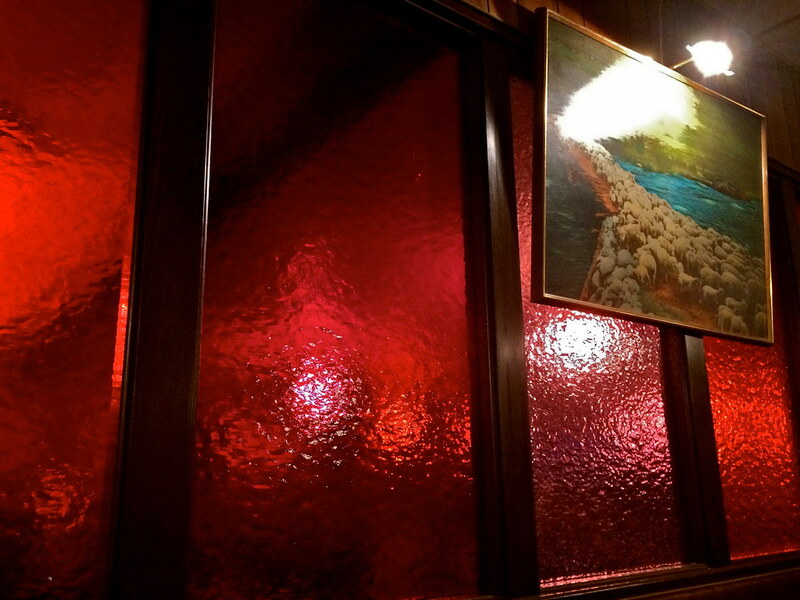 These textured glass panels separate the dining room from coffee shop – instant ambiance! Opting for a booth in the dining-room proper, we knew we had to try one of their “Exquisite” Campfire Steaks, once we saw on the menu describe them as “Tastes just like that old the Marlboro Cowboy cooked ‘em over the Campfire”! According to the Roadfood experts, it’s not the fire, but a secret wine-based marinade that gives these steaks their special flavor. 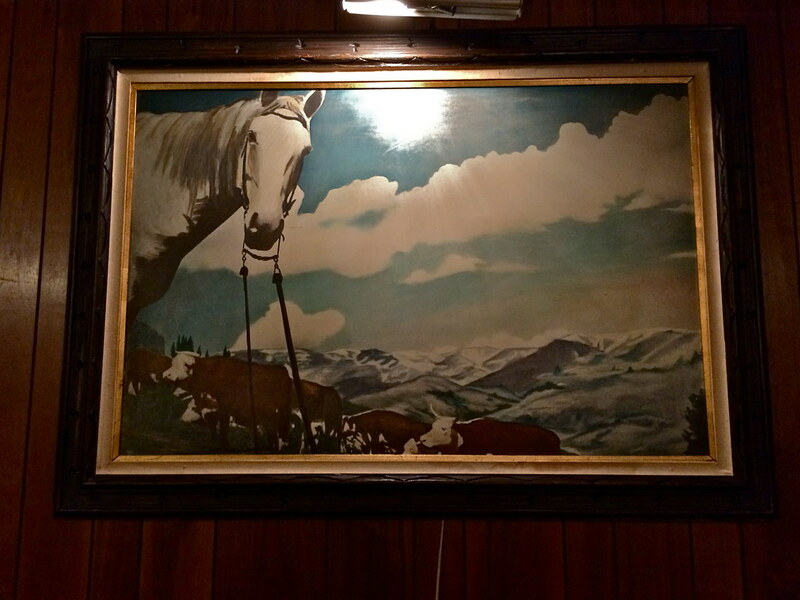 While waiting for our steaks to arrived we sipped our cocktails while perusing the cowboy themed artwork that decked the walls. Our fave in particular was one hanging in the very back, of a horse “photobombing” a picture of cows in the mountains. What a hoot! The lounge was quiet the weeknight we were there, but they still have live music during the weekends. In checking their updated entertainment calendar as I write this, I note that Piano Pat down the street may have a little competish age-wise, as 82 year old Gary Walter has graced the keyboards at Eddie’s ever since 1989. The Campfire steaks arrived, accompanied by potato “skins” (more like wedges) and old-school iceberg salads with Green Goddess dressing. A completely classic meal my dad would’ve wolfed down (OK well maybe the Green Goddess dressing might’ve been too wild for him.) Speaking of green, I just wish we had saved room for their homemade mint ice cream! We felt completely grown up, drinking cocktails and eating such a big meal, and could just imagine the folks coming here decades earlier all swanked up for a night on the town with drinking, dining and dancing. 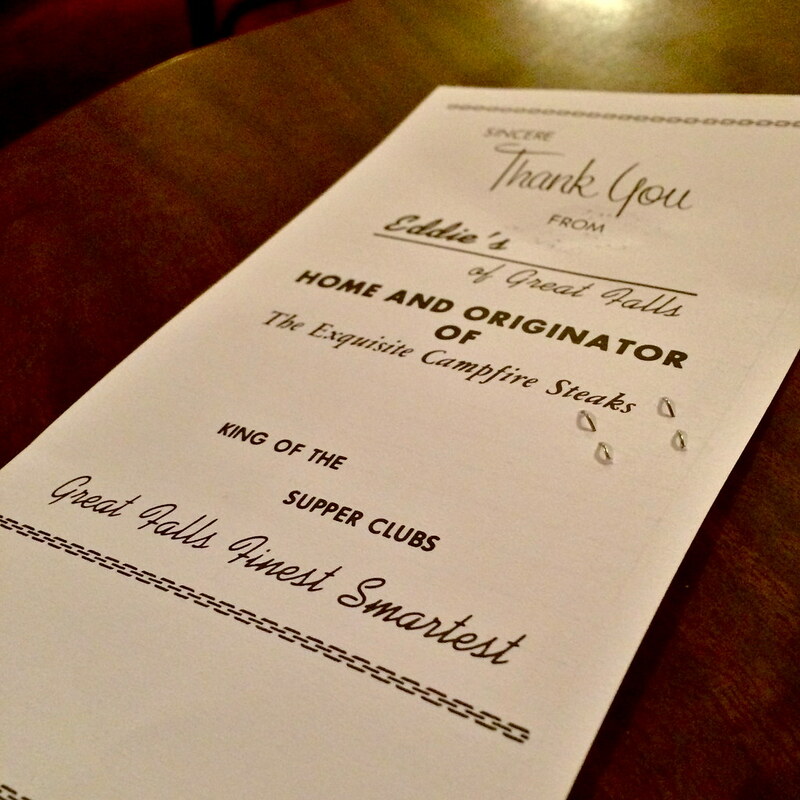 Our check proclaimed Eddie’s King of the Supper Clubs, and we’re inclined to agree. Sincere, Finest, Smartest – you don’t see folks using those words anymore. Sigh! PreviousThe Latest Retro Roadmap Video – Milton Theatre Delaware’s Revival House!